Those of Donald Trump’s “conservative” critics who accuse him of promoting a faux conservatism would be well served to look in the mirror. After National Review endorsed Romney, Tim Pawlenty, writing for its online edition, described Romney as “a man of principle” who “believes in the bedrock conservative ideals of limited government and free enterprise.” The editors of National Review endorsed Romney in 2007 as well. Now let’s look at Romney’s actual record, of both his words and deeds. likened himself to Abraham Lincoln, who also changed his mind on issues. Years before Barack Obama, Hillary Clinton, and the Democratic Party came out in favor of “gay marriage,” Governor Romney presided over the issuance of marriage licenses to gay couples in Massachusetts. Of course, Romney argued against the state’s Supreme Court decision affirming a right of gays to marry. But once the decision was made, and even though neither he nor the state legislature discerned any such right in the state’s constitution that spoke to such a right, Romney readily acquiesced in the Court’s ruling. Romney was a big proponent of “gun control.” He supported federal legislation making it more difficult for law abiding citizens to obtain guns, as well as an assault rifle ban. Moreover, Romney increased fees on gun owners by 400%. Romney boasted that because his position on gun control “doesn’t line up with the NRA,” it is “not going to make me the hero” of the Second Amendment group. There is nothing at all objectionable about a person’s changing his views over the span of his life. Indeed, growth is essential to intellectual health. Yet there are two points here. When Romney was in MA and he needed the support of most of that state’s liberal voters, he held liberal views on the issues of the day. When, though, he was aiming to secure his party’s presidential nomination and needed the support of a different kind of demographic, he tailored his views accordingly. 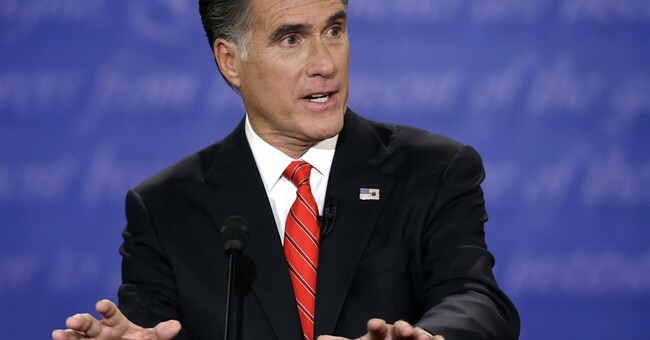 Second, it is patently cynical and hypocritical for those of Donald Trump’s most relentless critics to pile upon him for having changed his views over the years given the unqualified support that they lent to Romney—in spite of the latter’s truly astonishing feats of flip-flopping. And now we see that Romney is at it again. Romney was the original architect of the much-despised Obamacare. His “Romneycare” provided “universal health care” for the residents of Massachusetts. It also subsidized Planned Parenthood, the largest abortion provider in the country, and it offered direct coverage of abortion services. In the original edition of his book, Romney expressed hope that Romneycare would become a reality for America(a sentiment that was conspicuously absent from the second edition of said book, the edition that was released once Romney decided to throw his hat into the presidential ring). Understandably, Romney did his best to distance Romneycare from Obamacare as he railed against the latter. Only now, Romney is admitting what some of us knew all along: Romneycare is the blueprint for Obamacare. And Romney seems proud of it. Upon the recent passing of his friend, Thomas Stemberg, the co-founder of Staples, Romney has insisted that among Stemberg’s accomplishments is having enabled millions of Americans access to health insurance. Stemberg, you see, (allegedly) gave Romney the idea for Romneycare which, in turn, paved the way for Obamacare. Unsurprisingly, once the press seized upon this as just one more instance of Romney’s legendary lack of conviction, Romney swore that he still opposes Obamacare. For however questionable Trump may be, he is a breath of fresh air compared to Mitt Romney.